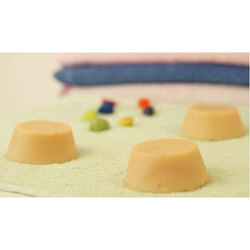 This glycerin loaded, Multani mitti soap cleansing bars are long lasting and have a wonderful dense rich lather that leaves the skin wonderfully clean, soft and supple . Whether you have dry or oily skin, our all natural soap is great for all ages and skin types. Multani mitti 100gm weight 27 rs mrp. Hydrates skin, removes black and white heads it destroys sunburns, patchy skin on face best soap for acne, pimples, skin diseases and heat rash makes the skin to look healthy and shiny as it is a made from natural ingredients it suits the best for sensitive skin. 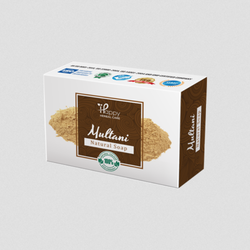 Contains pure Multani Matti which is decades old remedy for acne and Pimples prone irritable skin. It acts by cooling the stressed skin and also has mild antiseptic properties. - Multani mitti, better knownas the Fuller’s earth is a clay substance that is hugely popular for itshealing property against acne and blemishes. It is very rich in magnesium chloride which helps to reduce acne. We are dealing in Multani Mitti Soap. Being one of the trusted firms in the industry, we are highly engaged in providing a unique range of Multani Mitti Soap.